Anthony V. Cardona, Jr. Esq. | Maguire Cardona, P.C. Anthony V. Cardona, Jr. Esq. 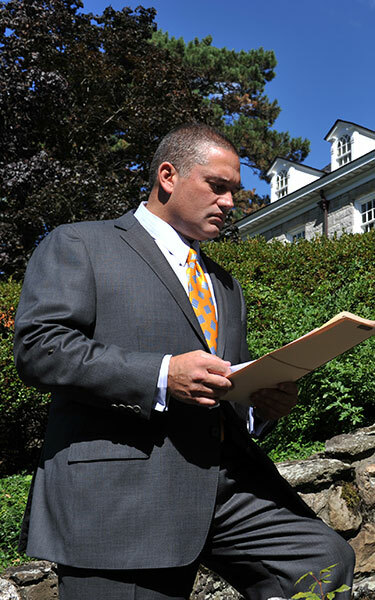 Anthony V. Cardona, Jr., graduated from Thomas M. Cooley Law School in 1992 and has been admitted to practice in New York State and the United States District Court, Northern District of New York since 1993. Anthony has a diversified and successful practice in insurance defense, commercial litigation, personal injury and real property law. A proven litigator who has negotiated countless settlements, taken numerous depositions, and conducted successful trials during his many years of practice. Anthony is also a part-time Assistant District Attorney for Albany County for 14 years. His combination of litigation experience and transactional work has established Anthony as a highly sought after attorney in the community. Anthony is a member of the New York State and Albany County Bar Associations. Anthony became a member of the YMCA Camp Chingachgook Board of Directors in 2012 and a member of the Board of Directors at Sunmark FCU. In May, 2013, he was elected Chairman of the Board at Sunmark FCU.